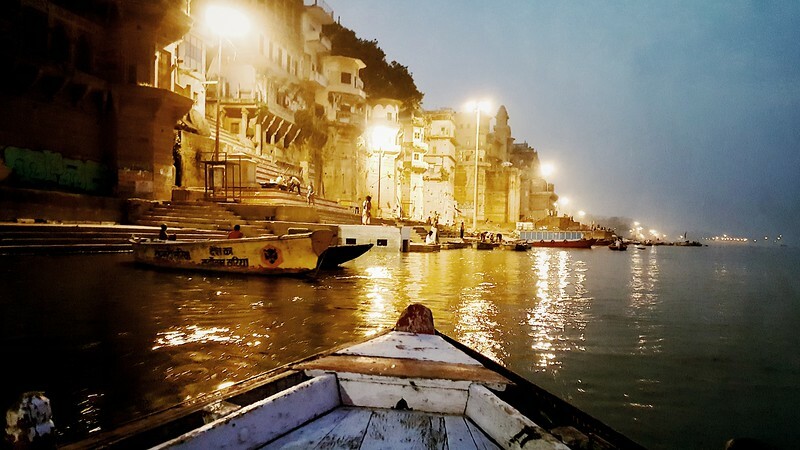 Varanasi (or Kashi, Benaras) is considered the epicentre of the Hindu Sanatan Dharma, a city founded by Lord Siva, the Vedic deity worshipped by Hindus as the Lord of Destruction. It is said to have been continuously inhabited, for nearly 5,000 years. 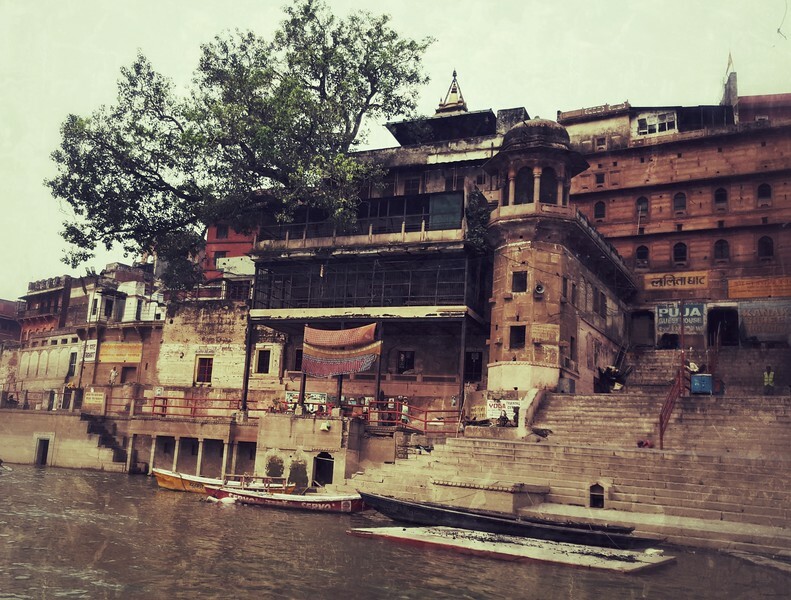 Situated between the Varuna river in the north and Assi river in the south, Varanasi derives its name from these two tributaries of the holy river Ganga which goes on a winding path through the centre of the city. Also called the City of Light (legend of Lord Siva appearing as an infinite beam of light and later settling down as Sri Visweswar Jyotirling at Kashi Viswanath Temple) and by some...as the City of Death & Liberation, where every devout Hindu aspires to die when his/her time comes, a belief that stems from another legend in the Hindu scriptures that Lord Siva himself whispers the sacred "Taraka Mantra" into the ears of those on the funeral pyre waiting for their last journeys, ensuring moksha or liberation of their souls. 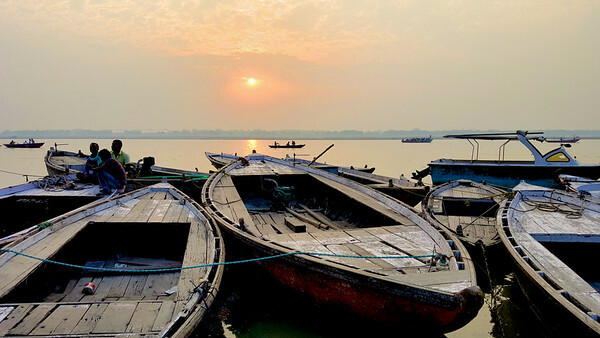 This was a short trip to Varanasi (a couple of days) en route to Allahabad, another sacred city for Hindus to the south east of Varanasi, a place where the three sacred rivers Ganga, Jamuna and the mythical & invisible Saraswati merge. Death is not a subject anyone wants to talk about yet Varanasi is a city where death is looked upon with sacredness and blatant openness, in the same breath, a fact that numbs the mind of many westerners who crowd the city all throughout the year, trying to understand this ancient religion and its practices and practitioners. The Hindu religious scriptures, unlike other religions, spend an enormous amount of time and thoughts into every aspect of death. 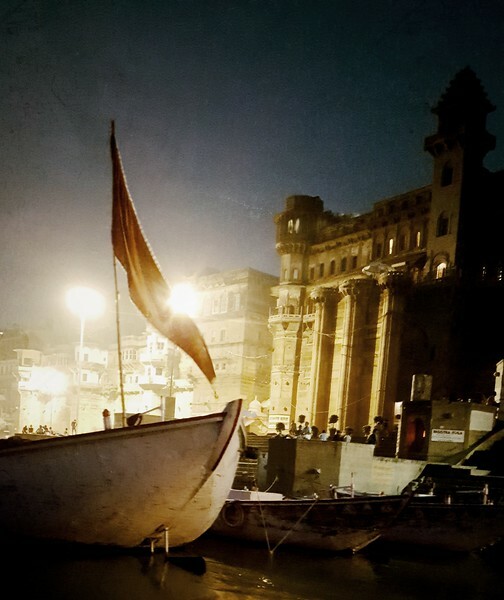 Death is no stranger to my family, having lost my father 15 years back, but this time the visit to this city (my first time) took on an added significance with yet another personal loss and ended up with a sort of revelation to some deeper questions I always had about karma, role of religious practices & spirituality, and self effort. It helped that I was also in the middle of reading through the "Yoga Vasistha", a 700+ pages scripture on the conversations between Lord Sri Ram (revered by Hindus as an incarnation of Lord Vishnu) and his spiritual preceptor, Sri Vasistha. The Bhagwad Gita, Puranas and the two epics, Mahabharat and the Ramayan are the most common scriptures that Hindus usually read and are familiar with. In contrast, scriptures like the Yoga Vasistha are rarely read, probably because of their extreme depth of thoughts and relative abstruseness versus the more easily relatable stories in the epics and Puranas. But in my view, these are the scriptures that actually delve into the true import of religious practices and give a no-nonsense and blunt (often terrifying) view of the universe and its inner workings. In a normal religious person's life, he/she is told to lead a virtuous and moral life, dedicated to worship of the Guru, Gods and elders/ancestors. The fruits of such worship and reverence leads to much 'punya' (accumulation of spiritual merits)...they say, that helps in the present life as well as in the future lives of the individual... in a religion that firmly believes in the concept of rebirth. And then there is constant eulogy of 'self-effort' (sadhana) as well, and the virtues of the same, in terms of achieving material and spiritual glory and self-realization. Lastly, the concept of fate and karma (how are they linked or are they mutually exclusive and operate in their own domains...?). This triad of issues has constantly been a puzzle to me, as I'm sure it is to a vast majority of Hindus who are taught these apparent contradictory streams of thought. If fate is supreme and cannot be surmounted, what is the role of self-effort? Many scholars and saints will say that self-effort does have the ability to change fate. And then the role of prayers and spiritual practices...every story in the Puranas and epics, when you read them, seem to suggest that one's fate can be changed by sincere prayers and heartfelt remonstrations before the Supreme Almighty God (whatever you choose to call Him by). But then quite contradictorily those same scholars will also tell you that joys, sorrows, birth, death and all the experiences in between, are all pre-ordained and nothing can change their course or timing. So then...you come around full circle and end up with the same confusion where you started with. 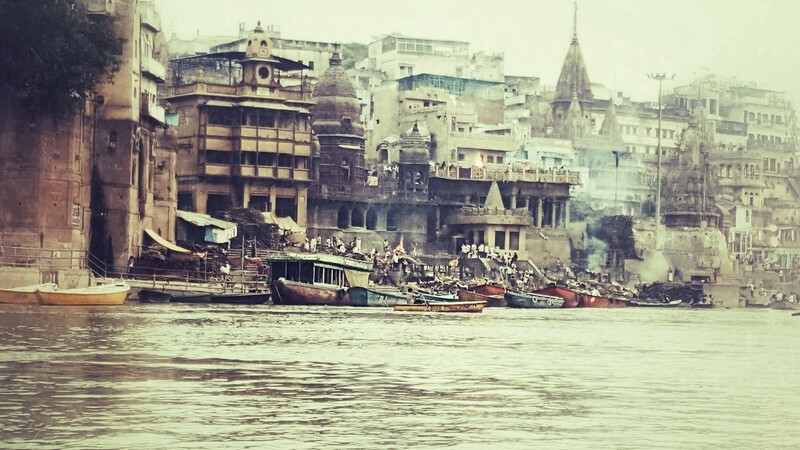 Slowly floating on an oar-boat on the holy river Ganga in Varanasi, witnessing the cremation of dead bodies on its myriad ghats (steps on the banks of the river), a particular verse from the Yoga Vasistha suddenly came to mind, as if in a flash of intuition. When people speak of god they imply what is inevitable, what is beyond their control and the events of natural order. Divine grace, natural order and right self-exertion, all of them refer to the same truth; the distinction is due to wrong perception or illusion"
Perhaps the single most important and revealing verse that I have ever read in any Hindu scripture so far. A verse that effortlessly (if you reflect on it for a while) bridges all the three jarring inconsistencies that I referred to earlier. A verse that tells a rather macabre truth about how the Universe really works, what we are in the grand scheme of things, and what exactly is the purpose of religion and the various spiritual practices versus what we are told is their role. There will be people who may disagree with my observations & conclusions but that is the beauty of Hindu religion. I can form my own opinion based on my interpretation of scriptural verses and still retain my identity as a core Hindu even if it goes against established Hindu beliefs. So let's analyze this verse again...it essentially says..."Self effort-Divine grace-Fate" are all one and the same thing. So to use an analogy...A person is critically sick and we are praying for his recovery and at the same time also putting in maximum possible efforts in the form of medical and physical support, to turn things around. Suppose the person recovers, which one of the three gets the credit? if the person does not recover, which of these three takes the blame? According to this verse, all combined get the credit and all combined take the blame, for they are the one and the same thing. In fact I would go so far as to say that 'Fate' is the ultimate arbiter of what happens and it uses self-effort and worship/prayers as additional tools to get its work done and keep moving things forward, in this mind boggling game called life and universe. Fate will force the believer to pray and the non-believer to do self effort (and to do both, in people who think there is power of both) and trick us into thinking that one of them actually worked. Yet the truth is, as the Yoga Vasistha proclaims throughout the narrative...no god or guru or spiritual practice or self effort can change the course of life or the sequence of happenings. You may be fooled into thinking your guru or a god did something miraculous and changed the course of events, but the reality is, that final course of events was anyways going to happen exactly as it ended up happening. Fate will have its way, no matter what. We are just pawns in this eternal game. And even this is bluntly stated in many of our scriptures in not so cryptic form..."This whole universe is a grand game in the mind of the infinite..." perhaps the latter referring to the player called 'Fate'. A game we cannot get out of, a game where there is only one loser, us. And while we play the game for a limited amount of time (called one lifetime), this entity called 'Fate' watches it and makes us believe (falsely) that we are the doers and managers of our destiny. Then 'Fate' gets bored and kicks our spirit out of the present body (the process being called death) and pushes it into another new body (the process being called birth)...and so on, until...yes now we come to another realization! What is the true purpose of religion and spiritual practices then, in this entire scheme of things? This is what I think...again from my limited interpretation of the scriptures I have read since childhood. There are essentially two functions that religion tries to do, one, a social function...to keep society in functional/working state (hence all the multitude of rules and regulations in every religion about every aspect of sentient life of a human being)...to keep that game interesting for its creator and enforcer, whose name you know by now 'Fate'. But it's the 2nd one that I think is the core function of religion and which is diligently attempted by scriptures and spiritual preceptors, in varied ways. That of attaining Self-Realization or Moksha or Salvation or whatever you call it. 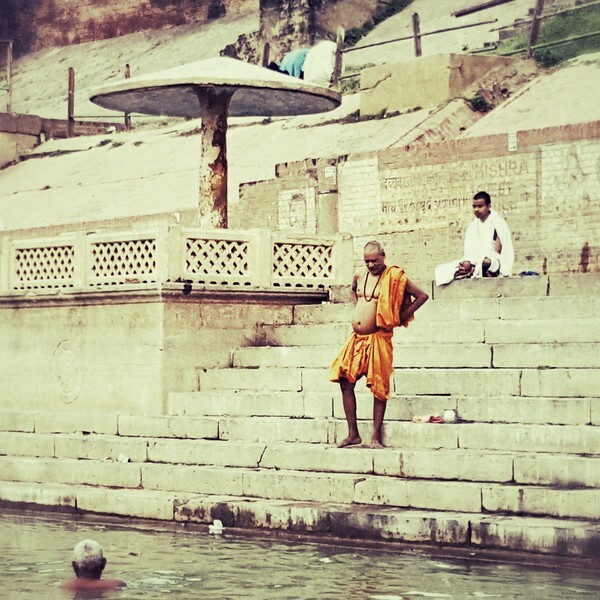 Until we attain this Self-Realization...we will continue waiting for the next boat on the river Vaitarani (the Hindu mythology equivalent of river Hades), waiting to go into the realm of death and Pitri loka (spirit world) and then returning back in another new body. But sometimes knowledge doesn't necessarily lead to understanding, instead it spawns more questions. So if this is all a game, do all those tender emotions throughout our life (between parents and child, husband and wife, close friends, siblings, etc etc) have no meaning at all, no value at all? The tears that a mother sheds, the prayers that she frantically chants to get her sick child back to normal, is meaningless/valueless? The promise of companionship through life and beyond, in joys and sorrows, between a young couple has no meaning or value at all? The desperate prayers & fears of a child for his ailing parent has no meaning or value to it? The more I think about it the more this truth appears macabre, heartless, ruthless and merciless...the very qualities we are told to shun from our hearts in this game called life.